This past summer I worked at GE Aviation in Cincinnati. GE has a strong commitment to community service, and throughout my rotation here I had the opportunity to participate in a couple volunteer events. My specific building at GE (there are over 20 in the local area) has a partnership with Habitat for Humanity. I volunteered there twice with my boss and the rest of our team. Habitat for Humanity builds houses, from the ground up, for those in need in suffering communities. The homebuyers pay for their new houses in “sweat equity”, which means that they have to contribute time to build their own homes. My team worked on a site with three homes, putting up siding and a porch the first time, and painting interiors the second time that we volunteered. It was amazing to see the work that could be done in such a short amount of time — who knew that I could ever say I had helped build a house? The impact on the surrounding area is incredible, too. Habitat for Humanity provides training to residents to help improve their housing conditions and helps move neighborhoods forwards. I also had a chance to volunteer with the local GE Women’s Network at Matthew 25 Ministries, an international humanitarian aid and disaster relief organization. Matthew 25 receives overstock and slightly damaged goods from corporations throughout the country and processes them for shipment out to disaster areas around the world. My group’s job was to sort these goods and determine if they were still in usable condition. We also took a tour of the facility and learned more about the organization. Matthew 25 ships about 15 million pounds of goods a year to people in need, and all of these goods are processed at the sole facility in Cincinnati. There was a small museum devoted to the history of the non-profit, and several items from disasters like Hurricane Katrina were on display. Earlier in the summer, I organized a volunteer event for all of the interns in my organization. We decided to help out at a local community farm nearby. They are hosting a trail run this fall, so we helped to clear the trail and trim back any overhanging branches. We also learned a bit about sustainability from a tour of the grounds and a talk by the volunteer coordinator there. It was a great way for all of the interns to come together and hang out, while still working for a good cause. 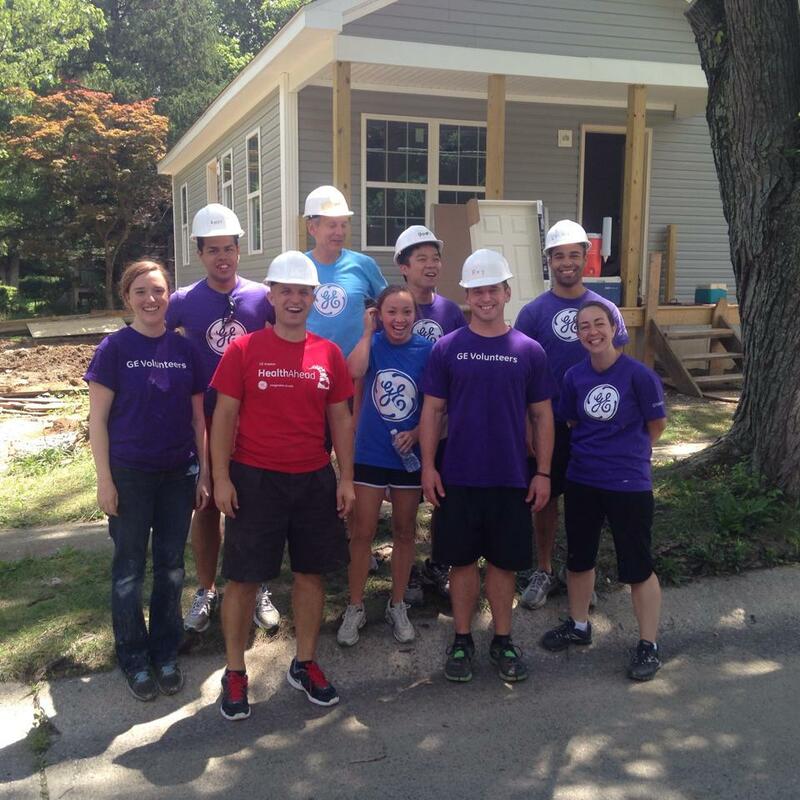 Volunteerism is a strong part of GE company culture. In fact, GE employees donate over 1.3 million hours per year. These volunteer opportunities have added another layer to my summer internship. It’s interesting to be at a company that promotes taking time off from work to help those in need. These events have also provided me with the opportunity to get to know my coworkers better. There is often some sort of informal networking event at the end of volunteering, and it’s nice to be able to chat with my boss outside of the workplace. 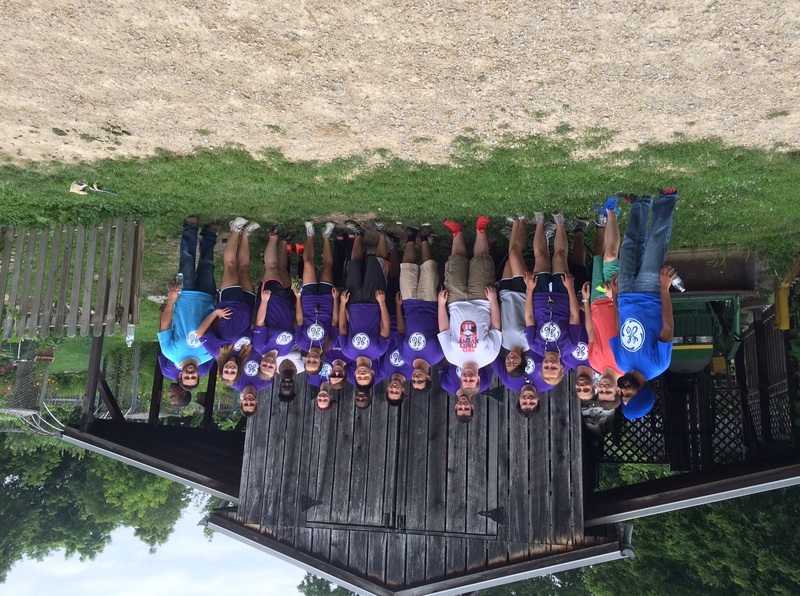 Overall, I’ve had a great experience volunteering and working with GE this summer. Ashley, originally from Cincinnati, Ohio, is a member of the M&T Class of 2017. She studies Electrical Engineering within Penn Engineering and has yet to declare her concentration in the Wharton School.